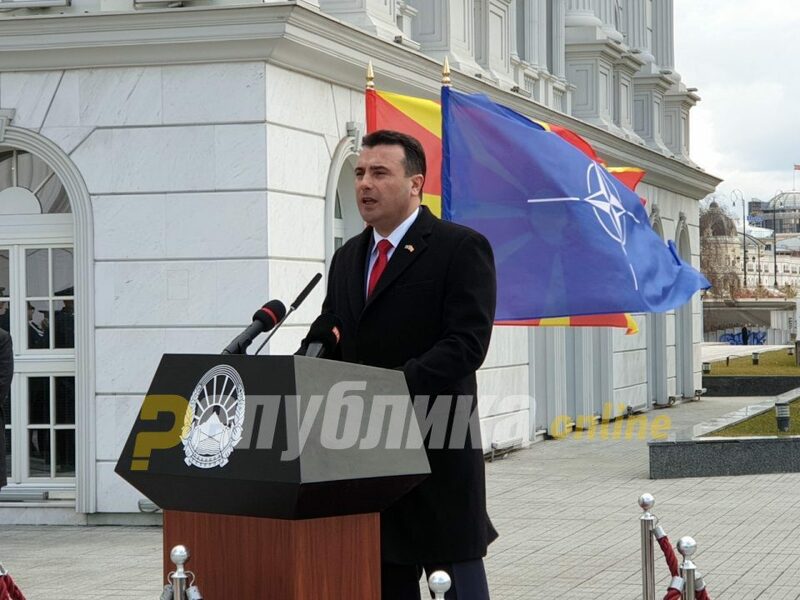 Zoran Zaev declared that Macedonia is moving fast toward NATO and the European Union at a NATO flag raising ceremony in front of the Government building. We raise the NATO flag, which determines our destiny, along with the EU flag. It is not just symbolism, it is reality, a new page in our history, Zaev told the small group of attendees. 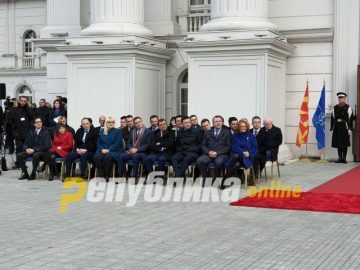 Few citizens came to the event, which was attended by politicians from the Government and several past Prime Ministers like Ljubco Georgievski and Vlado Buckovski. President Gjorge Ivanov was not present. His office informed that he was not invited to the ceremony. We waited for decades to be out of the Balkan side roads and to be back on the main highway to Europe. We are now direct participants in the most important period since our independence, and we choose our future and the speed with which we meet it, Zaev added, referring to Macedonia as “our country” and “North Macedonia”. 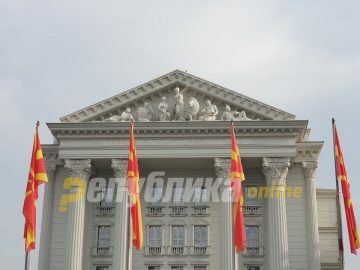 The event was held in front of the Government building, from which the letters “Government of the Republic of Macedonia” were removed on Zaev’s orders, likely to be replaced with “North Macedonia”.